More and more it seems we’re getting gift cards as gifts for each and every single holiday, especially birthdays. Gone are the days of ripping off wrapping paper and being excited by the surprise, and here are the boring days of opening envelopes to see what store you’re now forced to shop at. What fun is there in shopping in your own gift? None, really.. But, there is fun in shopping in general. So why not turn that gift card into cash? There is no reason that we shouldn’t be able to do with our cash what we want, so why not make that opportunity? At least bring back some kind of fun of opening gifts through turning those gift cards into fast cash, and spending the money wherever you want. 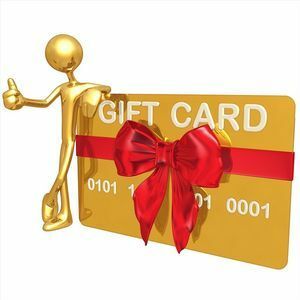 So how can you sell gift cards to the top gift card buyer in Chandler? How Does Selling Gift Cards Work At A Pawn Shop? The process is incredibly simple, but first, a caveat: don’t scratch the PIN on your gift card! The PIN is used to verify, and actually use, the gift card. If you scratch the PIN off, there’s nothing to stop you from selling your gift card to our lovely ladies, and then going and spending the remaining money online! So, if you’ve already scratched it off, I’m sorry, we can’t buy your gift card. BUT! If you haven’t, the process is actually pretty easy. Less ‘won’t’ and more ‘can’t’ in that regard; but sadly, yes, there are certain cards we cannot take. Such cards are the major retailers of Wal-mart and Target. These two in particular (Wal-mart and Target) have proven the most difficult, so we must regretfully decline taking them. We simply don’t want to give you false hope in getting the money you need from these cards. We apologize for the inconvenience, but still encourage you visiting us with any other remaining gift cards. When you bring in our gift card, one of our lovely ladies will either call, or check online, to verify the balance on your gift card. Once the balance has been verified, we’ll make you a cash offer on the spot ranging anywhere from 60-80% of what was original the total amount of the gift card. If you accept, we’ll just take a few signatures from you, and we’ll give you the cold hard cash that you should’ve gotten in the first place. Don’t delay, get the fast cash you need, and visit the #1 Pawn Shop and Gift Card Buyer in Chandler. Oro Express Chandler Pawn and Gold has been serving the areas of Chandler, Mesa, Gilbert, and Queen Creek for over a decade, and is only doing everything in its power to ensure our customers get the cash they need.